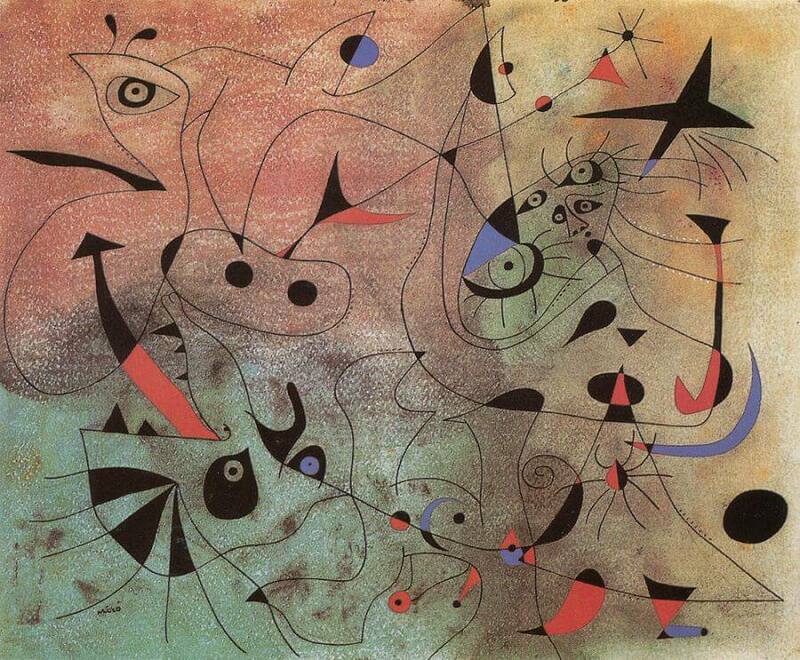 Joan Miro created The Morning Star, one of the most important pieces of in his Constellation series and gave it to his wife who later donated the painting to the Miro Foundation. 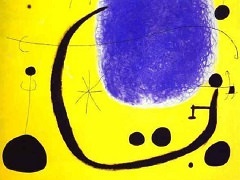 In August 1939, a month before the outbreak of the World War II, Miró, with his family escaped Paris and moved to Varengeville-sur-Mer, a small town in Normandy. This sentiment of escaping is clearly reflected in this series' harmonic and poetic production. 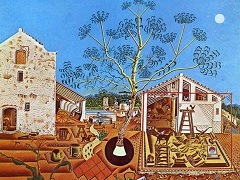 At Varengeville-sur-Mer he painted the top ten works in the series which was later called Constellations, beginning with "The Dawn" and "The Scale of Evasion". 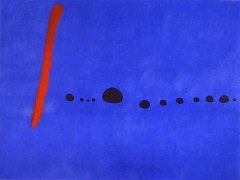 After escaping from France, Miró continued the series of Constellations in Mallorca, creating a more complex group of ten more. 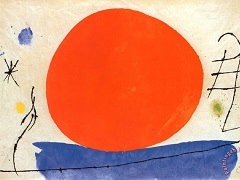 The last three were created in 1941 in his ancestral home in Mont-roig del Camp. Whilst completing this series he began the first sketches of the Barcelona Series engravings, where he would repeat part of his imagery. 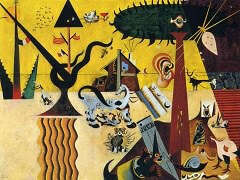 As Miro mentioned later: "I felt a deep desire to flee. I shut myself deliberately. 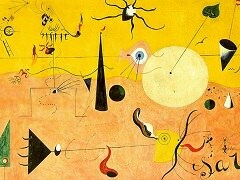 The night, music and the stars began to play a role in my painting."